Amid nervousness on US bond and equity markets which are back in negative territory for the year and a spike in oil prices sparked by chaos in the Middle East gold leaped past the psychologically important $1,200 an ounce level on Thursday. Gold for delivery in June – the most active futures contract – gained $21.76 or 1.8% hitting a high of $1,219.76 early on, before pulling back in early afternoon trade in New York to around $1,206 an ounce, still a three-week high. The gold price is up more than 6% after dropping to a 2015 low of $1,148.20 an ounce last week and has now retraced almost 40% of its losses since the 2015 high above $1,300 reached in January. Nervous investors piled into gold following a second day of sharp gains for the oil price to above $50 a barrel after top producer Saudi-Arabia launched airstrikes in Yemen against Iranian-backed militias that have taken over large swathes of the country. With Egypt being drawn into the conflict on the Arabian Peninsula, the prospects for another protracted ground war in the region becomes more likely. Gold also received support from a weaker dollar in early trade, but the greenback reversed course later in the day to within shouting distance of fresh 12-year highs. 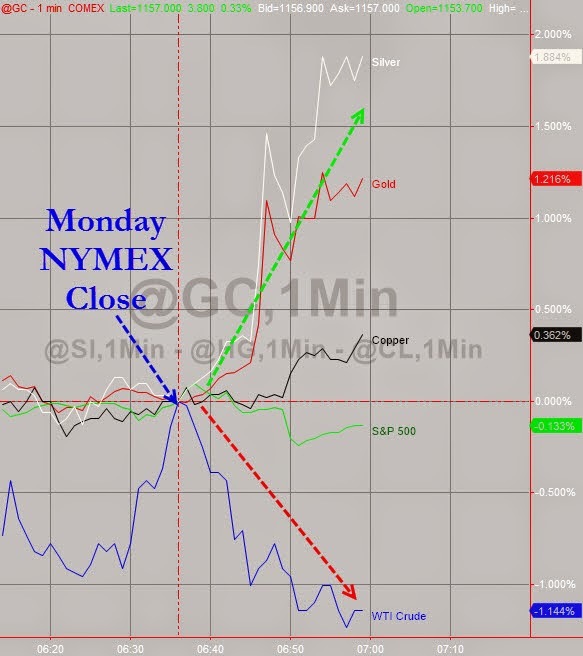 Gold and the dollar usually move in opposite directions. The US Dollar Index is up 21% compared to this time last year and the past year has been the greenback's strongest run on a rolling 12-month period since 1973. A new report by the World Gold Council that examines the complex relationship between the gold price and the world's reserve currency showed gold prices rise twice as much during weak dollar periods than they fall when the dollar strengthens. Given that many analysts believe the dollar rally may be entering the final stretch, gyrations in the value of the currency could set up the gold price for a period of substantial upside. The copper price has started to bounce back from its drastic fall at the start of the year, climbing more than 6 percent over the past month. However, Morgan Stanley (NYSE:MS) has cut its 2015 price forecast for the metal by roughly 16 percent, to $5,945 per tonne, on the back of lackluster demand from China. "With only months left before the mid-year peak in sales of commodity-intensive goods, time is running out for China to support commodity prices in 2015,” the note reads. Certainly, Morgan Stanley isn’t alone in making that observation — the Financial Times8 pointed to an absence of increased demand earlier this month, and also noted that imports fell to their lowest since 2011 for February. That said, the firm stresses in the note that the market will have to wait and see what happens in terms of Chinese demand when it comes to predicting an outcome for the copper price. So far, the meter could move either way. Bloomberg notes that China’s Purchasing Managers’ Index fell to an 11-month low of 49.2 for March, indicating a contraction in manufacturing activity, while Morgan Stanley states that key power grid investment data came in at a two-year low for the first two months of the year. That said, Morgan Stanley points out that China’s state grid chairman recently announced that investment may by increased by 21 percent year-over-year, upping expectations for increased spending. Taking a look at the supply side of things, Morgan Stanley believes that it will “expect ongoing supply disappointments, simply because it is a feature of the industry.” For instance, Indonesian exports remain at risk politically — especially in the wake of Freeport-McMoRan’s (NYSE:FCX) production halt at Grasberg — and Rio Tinto (NYSE:RIO) has cut Kennecott’s supply outlook. Still, the firm is also watching other projects that could drive mine supply growth, such as MMG’s (HKEX:1208) Las Bambas and Chinalco’s Toromocho, both in Peru, and First Quantum Minerals’ (TSX:FM) Sentinel mine development in Zambia. All in all, copper investors have plenty to keep an eye on going forward when it comes to tracking drivers for the red metal’s price. 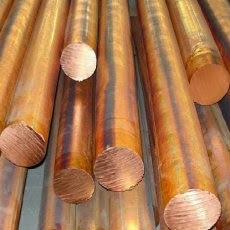 At close of day on Tuesday, spot copper was up just barely by 0.14 percent, trading at $2.79 per pound. China's Copper Imports May Climb above 300,000 T in Mar. after Decline in Feb.
China’s refined copper imports posted a 24.23% fall on the year in February this year, to 211,609 tonnes, Customs data indicate. The noticeable decline in import volumes was mainly due to the Chinese New Year. China's copper imports in February totalled 280,000 tonnes, down by nearly a third from January and the worst drop since 2011. Customs data also showed imports of iron ore dropped 13.5% to just under 68 million tonnes in February although compared to a year ago there was a gain of 11%. Coal imports tumbled 9% at 15.26 million tonnes and is down by a third year-on-year. While seasonal factors played a role in the magnitude of the declines, the "new normal" of slower growth rates in China will continue to put downward pressure on commodity prices says Morgan Stanley in a new research report. 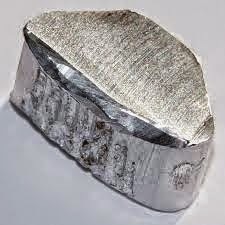 Morgan Stanley new forecast for the nickel price is 19% below its previous estimates for the year at $16,094 a tonne, which is still sharply higher than today's ruling price of $14,175. The bank cut its 2016 outlook for copper by 14% to $6,283 a tonne on the back of a global copper surplus of some 230,000 tonnes, compared with a balanced market last year. Copper held onto its recent gains trading at a three-month high above $6,000 on Tuesday despite news of operations at the Grasberg mine in Indonesia returning to normal after a 5-day blockade by workers that lifted the price. The bank's 2015 forecast for iron ore was brought into line with the ruling price in the mid-$50s. Morgan Stanley now believes the price of the steelmaking material will average $57 a tonne in 2015 before recovering to $65 a tonne next year and $71 in 2017. Both those estimates were below previous forecasts thanks to seaborne supply exceeding demand by 129.3 million tonnes in 2017 from an estimated 55 million tonnes this year. The most recent statistics released by the International Aluminum Institute (IAI) indicates that the global aluminum output during the month of February this year, excluding China, dropped when compared with the prior month. However, upon comparison with the same month a year ago, the Feb ’15 output has improved considerably. As per IAI data, the total aluminum production during February this year totaled 1.911 million mt, down by almost 9% when compared with the revised output figure of 2.104 million mt in January. The output during Feb ’15 was higher by nearly 2% when compared with the output of 1.868 million mt in February last year. The cumulative aluminum output during the initial two months of the year totaled 4.015 million mt, slightly higher when compared with the output of 3.919 million mt during the corresponding two-month period in 2014. The average daily aluminum output during the month of February this year was higher month-on-month and year-on-year. The daily output, excluding China, averaged at 68,300 mt per day, higher by 400 mt per day when compared with the average daily output of 67,900 mt per dat during January this year. The average daily output climbed higher by 1,600 mt per day when compared with 66,700 mt reported during February last year. Founded in 1972, IAI currently represents over 60% of global bauxite, alumina and aluminium production. The Institute works closely with the national and regional aluminium associations. 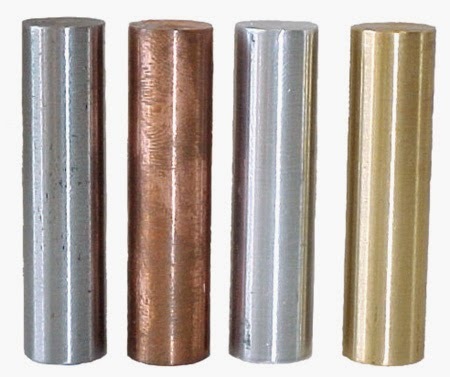 IAI has companies engaged in the production of bauxite, alumina, aluminium, the recycling of aluminium, or fabrication of aluminium or as joint venture partners in such as its members. According to latest newspaper reports, the five-day unofficial blockade of access road at the Grasberg mine in Indonesia has been lifted. The company spokeswoman stated that normal operations have resumed at the mine effective this Friday. 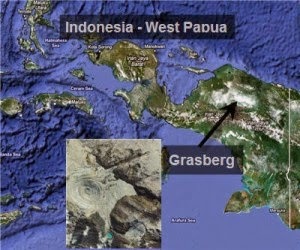 The he unofficial strike by workers at the Grasberg, Papua, Indonesia mine run by Freeport had lasted for five days, halting copper production works at the world’s second largest copper mine in the world. The strike action was initiated by a group of employees, who held a demonstration on Monday blocking the access road at MP 72. This was the only access to the Grasberg mine, underground mining areas and processing facilities. According to union spokesman, the strike was not backed by them. They further stated that the cause of the strike was unknown. Meantime, the company spokeswoman had clarified that the company was willing to attend to the concerns of the striking employees and had expressed the hope that copper production at the facility was not affected. Reports indicate that as many as hundred workers were involved in the strike action, demanding bonuses as an incentive for not taking part in a work stoppage last year. The workers agreed to stop the blockade upon request by union officials. The company is yet to reach an agreement with the workers on their demand. 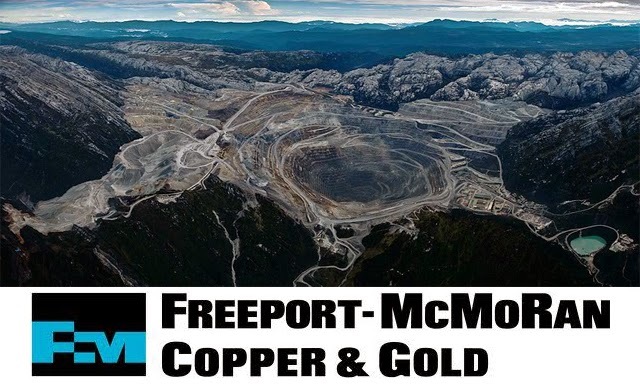 Freeport-McMoRan Copper & Gold Inc., (FMCG) is one of the world's largest producers of copper and gold. Its headquarters are located in the Freeport-McMoRan Center in downtown Phoenix, Arizona. Freeport is the largest publicly traded copper and molybdenum producer in the world. It mines and mills ores containing copper, gold, molybdenum and silver. The Grasberg Mine is the second largest copper mine in the world and is located in the province of Papua in Indonesia near Puncak Jaya, the highest mountain in Papua. 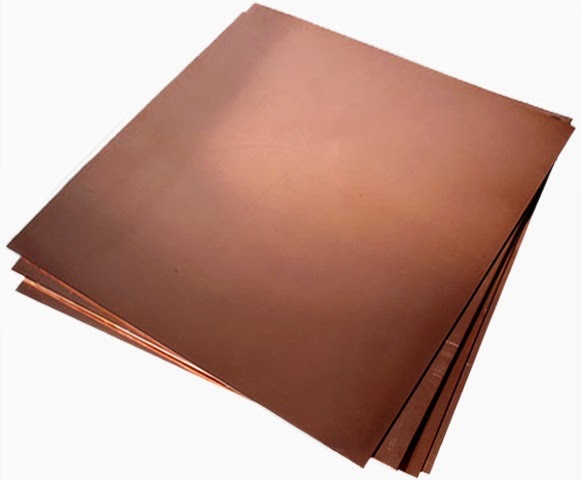 The copper price recovered from a one-month low on Wednesday to gain 3 percent on Thursday, as the metal markets reacted to a dovish Fed statement and news out of Indonesia that production has stopped at the Grasberg copper and gold mine. Workers blocked an access road to Grasberg – the world's second largest copper mine by capacity – for the fourth day, Thursday, leading to speculation that the shutdown will have a material affect on prices, The Australian reported. A statement by the US Federal Reserve the same day signalling that the central bank is less likely to raise interest rates than expected, was also supportive of copper. Three-month copper on the London Metal Exchanged leapt 3.2 percent to close at $US 5,850 a tonne, the biggest one-day percentage gain since February 3 and well above Wednesday's one-month low of $US5,621.50, the Australian said. Bloomberg reported that the blockade was not organized by the union, but about 50 workers from seven tribes in Papua who are seeking promotion for not participating in a labor dispute last year. Output was suspended starting Monday but shipments from old stockpiles continue, according to a union spokesman quoted by Bloomberg. Nevertheless, Freeport-McMoRan Copper & Gold’s (NYSE:FCX) investors saw the labor dispute as good reason to dump the stock. Trading on heavier-than-normal volumes, FCX slipped 5.32 percent to $17.26 a share on Thursday in New York, just under a dollar above the 52-week low of $16.43. Work stoppages at Grasberg are fairly common. Last October open-pit operations were suspended as protesters demanded management review safety conditions following an accident involving a truck that killed four workers. The previous year workers set a tent on a mine access road following a landslide in Big Gossan that killed 28 employees. For what appears to be the 10th week in a row, API reports a massive 10.5 million barrels (far bigger than the 3.1 million barrel expectation) and a 3 million barrel build at Cushing. If this holds for DOE data tomorrow (and worryingly API has tended to underestimate the build in recent weeks) it will be the biggest weekly build since 2001. 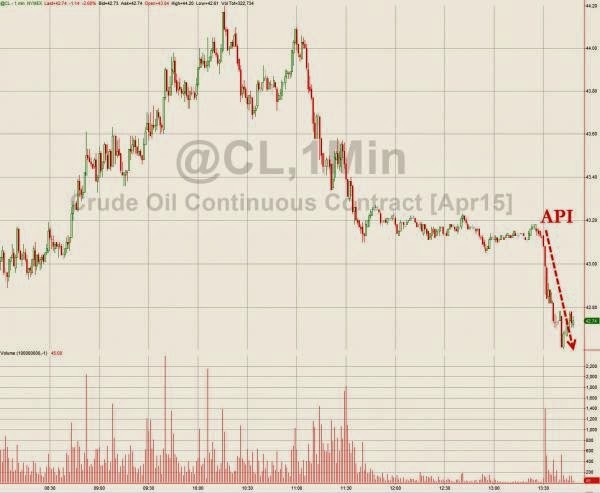 WTI has plunged on this news hitting $42.60 on the April contract. Oil production has not eased despite low prices and America's major storage facility is running out of room, said former Federal Reserve Chairman Alan Greenspan on Bloomberg TV on Friday. If you look at the data, our major domestic facility for storage is in Cushing, OK, which is a delivery point for West Texas Intermediate crude contracts. We're probably at the point now where at the current rate of fill we are going to run out of room in Cushing by next month. The question then is where does the crude go? Everyone's forecast was . . . prices collapse and a sharp curtailment of shale oil production. That has not happened. The weekly figures produced by the [energy administration], through March 6, showed a continued rise in domestic crude production, and it's got no place to go because we can't legally export the way we could with most products. Essentially, we are bottling up a huge amount of crude oil in the United States so if the West Texas Intermediate is running $10 a barrel under Brent Crude, which is the global price. 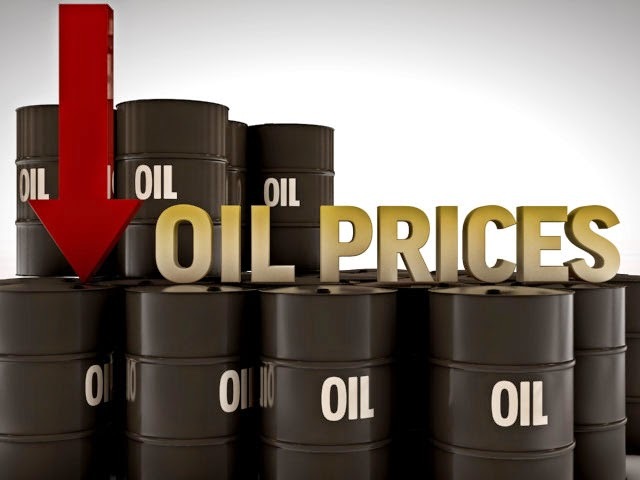 That means we are creating great abnormalities in the system and unless we find a way to get out of this dilemma, prices will continue to ease because there is no place for that oil to go. Greenspan said the large price differences between WTI and Brent will result in a volatile spot price for oil. 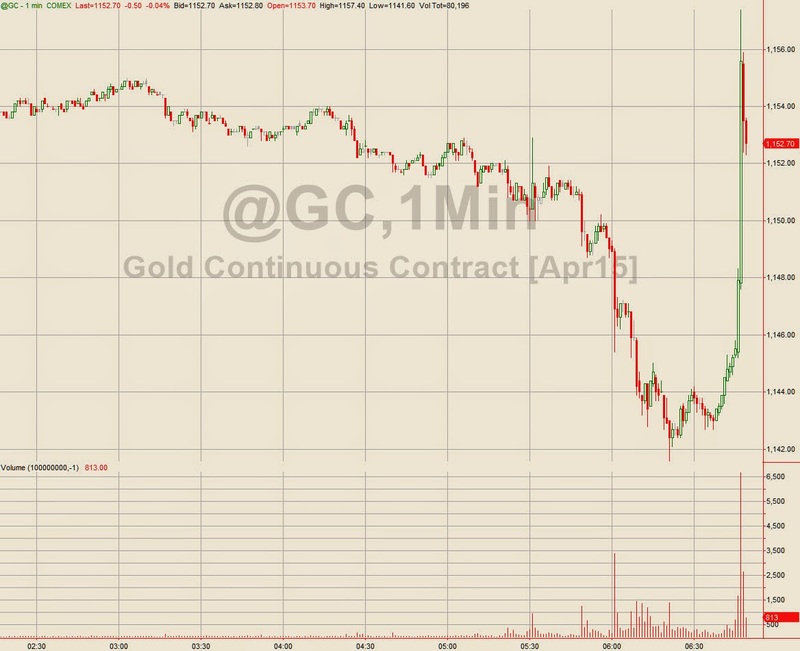 Amid a fresh sell-off on US equity markets (third down week in a row) and another crude oil rout (down 9.6% for the week), gold managed a small gain on Friday with April futures finding a thin cushion against the crucial $1,150 an ounce level. Gold's resilience is all the more remarkable since it's been into the teeth of a rabid dollar. Gold historically has inverse relationship to the value of the USD and on Friday the greenback jumped back above the 100-mark against the world's major currencies to the highest since early 2003. That compares to a record low of 71.6 in April of 2008 and a record high of 164.72 in February 1985 when the price of gold bottomed at $284.25 an ounce. 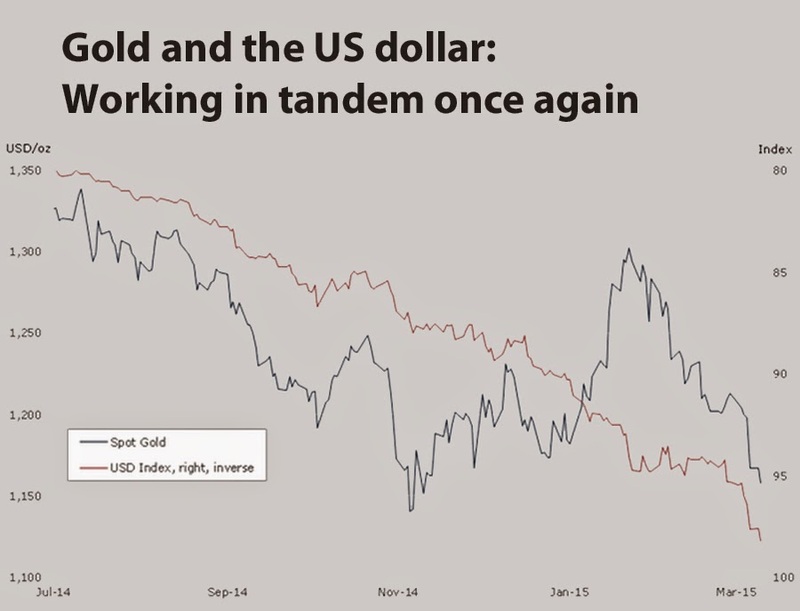 The first chart from a new research note by Julian Jessop, Head of Commodities Research Capital Economics, shows just how big a gap has opened up between the dollar and the gold price. While the two do diverge from time to time (look at the pattern at the height of the global financial crisis) all things being equal you could expect gold to be trading closer to $400 an ounce at the moment. That supplies plenty of upside for gold once the dollar retreats from its lofty heights, which eventually it will. An even closer negative correlation exists between the gold price and US inflation-adjusted interest rates (Treasury Inflation Protected Securities or TIPS). Some analysts go so far as to say that the correlation is so strong that the gold price can be used as a predictor of interest rates, serving as an early warning system of both the direction and magnitude of the move in rates. 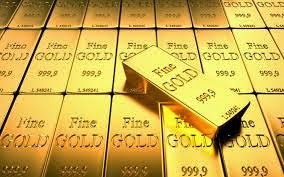 The underlying reason for the relationship is that as US yields rise – as is widely expected – the opportunity costs of holding gold increases because the metal is not income producing. The expectations of higher rates in the US is also a major factor behind the surging dollar. 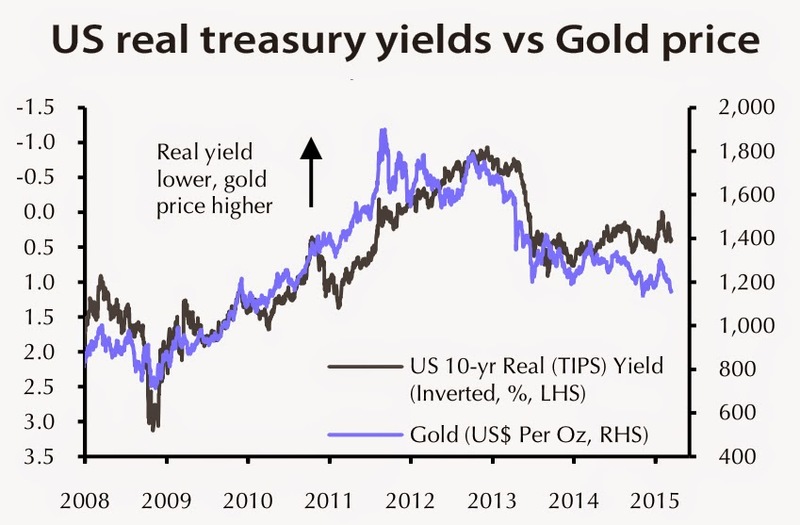 Taking chart number two at face value, the eventual return of US real yields to more normal levels of around 2% would be consistent with the gold price falling back below $1,000 per ounce. But real yields have remained stubbornly low and the second chart would suggest gold should be scaling $1,400 right now. A level which Capital Economics predicts we'll reach by the end of the year. (Reuters) - Aluminium stocks held at three major Japanese ports climbed for an eleventh month to hit a record high at the end of February due to robust imports. Aluminium stocks held at Yokohama, Nagoya and Osaka grew 0.8 percent in February from a month earlier to 453,400 tonnes, Marubeni Corp <8002.T> said on Thursday. The trading house collects data from those key ports. 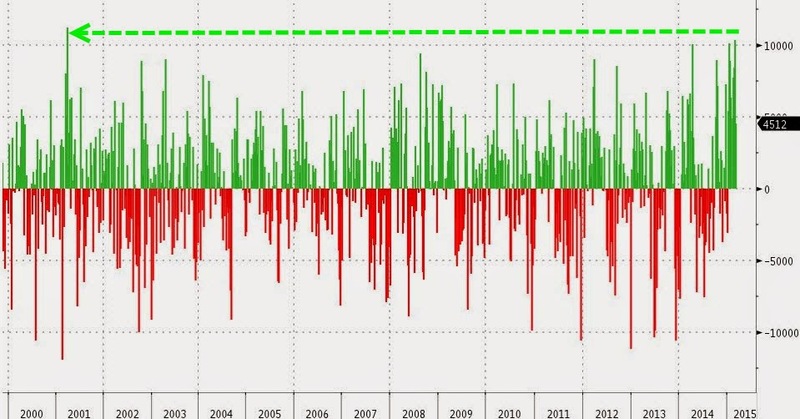 That broke the previous record set in January, the highest level in data going back nearly 15 years. Behind the higher imports are slack demand elsewhere in Asia and China's increased exports of cheaper aluminium products. "We heard that the inflows (to these ports) were still higher than the outflows in February, reflecting high level of imports," said a Tokyo-based trader, who declined to be named. "But an expansion pace of the inventories got slower than the previous month," he said. Aluminium stocks at three major ports rose about 9 percent each in December and January, but they increased less than 1 percent in February. "We expect those stocks will head lower toward the end of March as some Japanese buyers have reduced purchase volume of January-March deliveries and some firms are trying to cut their inventories ahead of the end of 2014 business year," the trader said. For many Japanese companies, the business year ends on March 31. Chinese exports of aluminium products grew about 19 percent last year, a trend analysts expect to continue in 2015 given lower local prices compared with international markets. Meanwhile, Japanese imports of aluminium ingots for 2014 soared 16 percent from a year earlier to 1.698 million tonnes, the highest since 2010 and imports of aluminium alloys rose 11 percent to 1.125 million tonnes, the highest since 2008. As regional supply climbs, Japanese aluminium buyers are asking global producers to lower premiums for primary metal shipments for April-June deliveries in the quarterly pricing negotiations that have begun last month. A major Japanese aluminium buyer has agreed to pay a producer premium of $380 per tonne for metal to be shipped in the April-June period, said a buyer source involved in the pricing talks last week. The deal marked a 11 percent drop from a record high of $425 per tonne for the previous quarter and was the first fall in six quarters. Japan is Asia's biggest importer of aluminium and the premiums for primary metal shipments it agrees to pay each quarter over the London Metal Exchange cash price set the benchmark for the region. On Thursday gold for delivery in April managed to eke out a slight gain to close at $1,151.90, up $1.30 from a four-month low hit yesterday. That gold has managed to stay above the crucial $1,150 an ounce support level is a relief to gold bulls. The metal closed below this level early November, but soon bounced back. For a sustained period of sub-$1,150 gold you have to go back to April 8, 2010. Gold's resilience is the all the more remarkable since it came into the teeth of a rabid dollar. 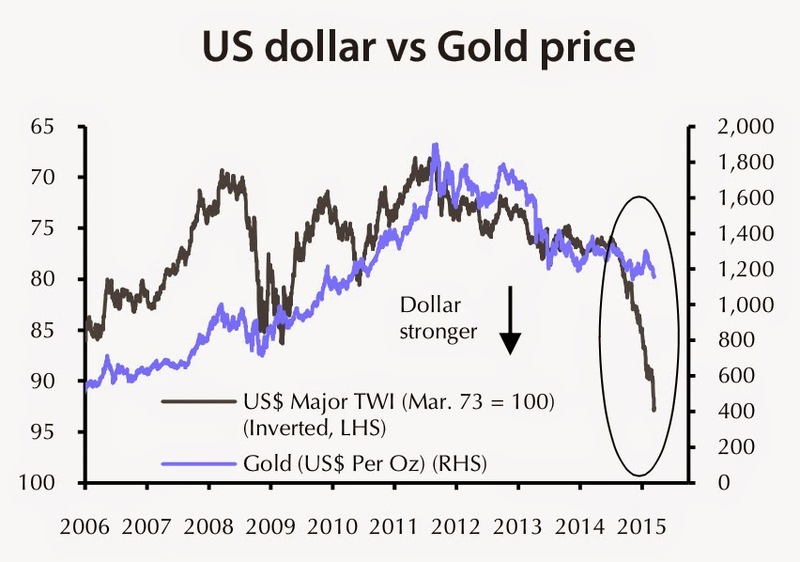 Gold historically has inverse relationship to the value of the USD. Overnight the greenback surged above the 100-mark against the world major currencies for the first time since April 2003, before retreating just below triple digits during normal trading in New York. That compares to a record low of 71.6 in April of 2008 and a record high of 164.72 in February 1985 when the price of gold bottomed at $284.25 an ounce. 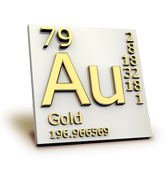 The strong dollar coupled with rising interest rates in the US which raises the opportunity costs of holding gold as the metal produces no income, are high on the list of reasons analysts are calling for further weakness in gold. France-based bullion bank BNP Paribas released forecasts for average prices this year and next that sees gold sliding back into triple digit territory for the first time since September 2009. 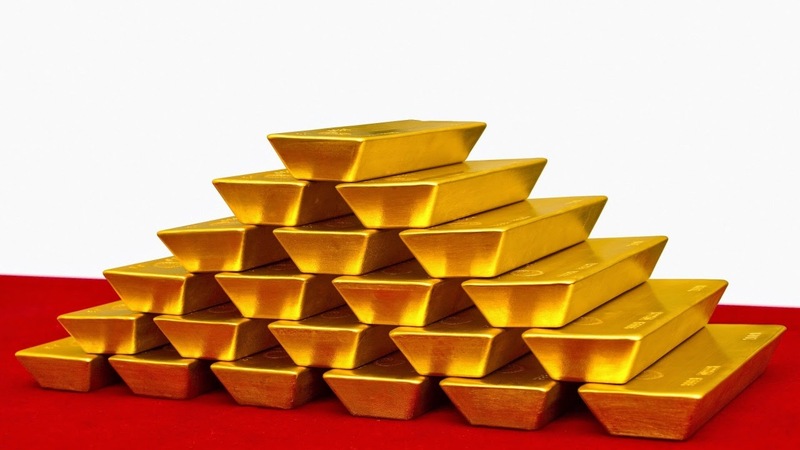 "Future policy action by the US Federal Reserve remains high on gold's agenda. It will continue to dictate the pace at which the dollar appreciates (and official sector demand for gold declines) and accordingly how much downward pressure will be exerted on gold," BNP analysts Harry Tchilinguirian and Stephen Briggs said. The only near-term positive the pair predicted is that any hike in interest rates in the US could be put on hold for the time being, or postponed until later in 2015. "On the physical side … further strength in the dollar stands in the way of import demand in [certain] key consuming countries, such as Turkey and India," the analysts said. The spot price of gold in New York, which does not trade in nearly the volumes of the most active futures contract, is suffering its worse streak losing streak in 17 years. According to Bloomberg it was the ninth straight session of losses with gold for immediate delivery falling slightly to settle at $1,153.73 on Thursday. The last time gold was beaten back for such a stretch of time was January 1998. (Reuters) - A deluge of aluminum , held as collateral in financing deals, could be released back onto global markets as surging Chinese exports of the metal cause surcharges for physical material to extend their dramatic slide. Premiums - which lurched lower for the first time last month after years of hitting record highs - are also facing pressure from market reform aimed at untangling controversial storage practices and the prospect of higher U.S. interest rates. The surcharges, paid by buyers on top of the London Metal Exchange cash price to obtain immediate delivery of metal, had soared by up to nine-fold since 2009. This was partly due to expensive backlogs at LME-registered warehouses of up to two years to get access to material. They have already shed 10-15 percent in Asia, Europe and the United States and some analysts and traders expect them to tumble by another 40-50 percent this year. An estimated 10-12 million tonnes of aluminium are in storage worldwide, but until recently the bulk has not been available to the market, locked in financing deals or in warehouse backlogs. "The whole equation has now changed," said Nic Brown, head of commodities research at Natixis in London. "The risk is you can get a bit of a stampede from people who are holding metal in these financing transactions. That falling premium is now a negative rather than a positive for these financing trades." Under financing deals, investors have profited handsomely in recent years by selling forward metal at a higher price, then leaving it in storage while also reaping the benefit of sky-high premiums. Other elements are also making the financing deals less attractive, including a flatter forward curve in aluminium, reducing the forward selling price, and expected hikes in U.S. interest rates, boosting borrowing costs. Another factor expected to inflate supply and curb premiums is the LME's wide-ranging reform of its warehousing policy, driven by consumer complaints about the long delays to obtain aluminium from storage. More metal is also expected to flow out of LME-certified warehouses, which hold just under 4 million tonnes of aluminium, after the exchange announced plans earlier this month aimed at slashing delivery backlogs twice as quickly as under current reforms. Rising exports of Chinese aluminium have been a key factor in adding to supply and pressuring premiums in Asia and Europe, traders and analysts say. "There's a knock-on from other geographies," said analyst Edward Meir at broker INTL FCStone, who says the U.S. Midwest premium could fall to as low as 12-15 cents a lb by late summer from about 21 cents currently. In February, China exported 420,000 tonnes of unwrought aluminium and aluminium products, more than double the 160,000 tonnes shipped in the same month last year. A European source at a producer said it appeared that more metal from Russia was flowing into Europe as some of its Asian customers were now buying Chinese metal. Producers were in a quandary over whether to liquidate material as premiums fall, a trader in Singapore said. “It’s a staring contest... As a seller, you’re in a lose-lose scenario. Do you lose less, or do you lose a lot. As a buyer you’re laughing,” the trader said. On Tuesday the gold price came under renewed pressure with April futures falling just over 1% to $1,153.80, a more than four-month low. $1,150 an ounce is a crucial support level for the gold price – the metal has closed below this level on only two trading days since April 8, 2010. Those sessions were November 5 and 6 last year before an unusual decoupling between the gold price and the US dollar occurred. All things being equal, commodities priced in US dollars have an inverse relationship to the world's reserve currency. But after bouncing back from its November low gold started to appreciate even as the greenback continued its upward march. On Tuesday, the USD hit a fresh 13-year high against the currencies of major US trading partners, with the dollar index reaching 98.7, up more than 22% in a year. At the same time it appears that the historic negative correlation between the dollar and the gold price is once again in place. (Reuters) - Japan's biggest zinc smelter, Mitsui Mining and Smelting Co Ltd expects the zinc price to recover toward $2,300 a tonne in the second half of the year because of a likely deficit in the global refined zinc market through 2017. Mitsui forecast last November that zinc would average $2,300 a tonne in 2015, but three-month zinc on the London Metal Exchange has fallen 16 percent from a three-year high of $2,416/T last July to around $2,037/T. "It's been underperforming due to slumping oil prices, a higher dollar and worries about China," Osamu Saito, general manager of Mitsui's metal sales group, told Reuters on Monday. "Still, the price is likely to rebound toward $2,300/T in the July-December half as fundamentals including an expected deficit of global zinc market in 2015, 2016 and 2017 remain unchanged." Mitsui expects the global refined zinc market to register a 250,000-300,000 tonnes deficit this year, compared with a 366,000 tonnes shortage predicted by the International Lead and Zinc Study Group (ILZSG) last October. The Japanese smelter's narrower estimated deficit reflects increased production by Chinese smelters in November and December to take advantage of higher processing fees and a wider gap in Shanghai and LME prices, Saito said. Mitsui has also slashed its annual premiums to Asian buyers for 2015 by about 10 percent, marking the first cut in six years as rising exports by China spill into the region following a metals financing scandal in the port of Qingdao. The scandal has squeezed access to credit, forcing Chinese selling of stocks to raise money and reducing zinc premiums - a surcharge paid to obtain metal. 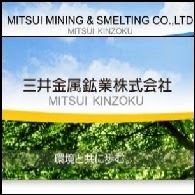 Faced with lower premiums in China, Mitsui has reduced term export contracts to the country for 2015, Saito said. China, the world's top zinc consumer and a net importer of zinc, exported 131,369 tonnes of zinc in 2014, up from 3,406 tonnes in 2013. "China's export push will be short-lived, but its recent escalation in metal output is worrisome," he said. Mitsui, which plans to produce 223,000 tonnes of zinc in the year ending March 31, is also still holding talks with miners on zinc treatment charges (TCs) for 2015. "The talks are headed in favour of smelters, but we can't disclose details," he said, adding that the negotiations have been delayed as the recent fall in zinc price made it difficult to agree on the base price for this year. Aluminium has tumbled some 16 per cent since November last year. 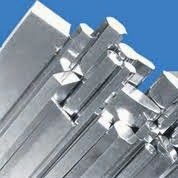 The global spot aluminium price recorded a high of $2,099 per tonne in November and fell to $1,765 . Declining demand for the metal due to the global slowdown, especially in China, has taken the aluminium price sharply lower. Aluminium futures on the Multi Commodity Exchange (MCX) which move in tandem with the global price have tumbled about 15 per cent in the same period. The contract has been consolidating sideways since January within its overall downtrend. It is likely to extend its fall in the coming weeks, making it advisable to initiate fresh short positions. Short-term view: Aluminium futures have been range-bound between ₹110 and ₹117 a kg since January. The 200-week moving average, currently at ₹110.5, is providing support for the contract. Though the sideways range remains intact at the moment, the price action on the daily chart suggests that the range is likely to be broken on the downside in the coming days. Immediate resistance is at ₹113.5. Key short-term resistance is at ₹117 – which is the upper end of the current sideways range in which the contract is trading now. The short-term outlook is bearish as long as the contract trades below these resistances. A strong break below the support ₹110 can drag the contract lower to ₹106 in the short-term. Traders with a short-term perspective can initiate fresh short position at current levels. Stop-loss can be placed at ₹114 for the target of ₹106. The outlook will turn bullish only on a strong break above ₹117. The next target is ₹118.5. Medium-term view: The medium-term trend view is also bearish with key resistance at ₹118.5. The contract can fall to ₹104. Medium-term traders can go short with a wider stop-loss at ₹116 and for the target of ₹105. Intermediate rallies to ₹115 if seen can be used to accumulate short positions. The level of ₹104 is a key medium-term trend-line support for the contract which has the potential to halt the current downtrend. A reversal from here can take the contract higher to ₹115 once again. Large scale speculators in gold futures added massively to short positions – bets that prices will fall – ahead of Friday's jobs report in the US which sent gold prices tumbling. On Monday the gold price regained some of its footing, but is still trading at the lowest since November after retreating more than $140 an ounce from its 2015 high above $1,300 hit in January. On the Comex division of the New York Mercantile Exchange, gold futures for April delivery – the most active contract – was last trading at $1,166.40 an ounce, up $2.10 or 0.2% from Friday's close. 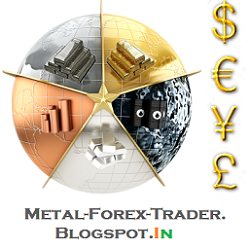 Silver futures trended weaker on Monday with May contracts recovering from a day low of $15.71 an ounce to exchange hands at $15.79 an ounce in early afternoon trade. Like gold, silver went off to the races at the start of the year to hit a 2015 high of $18.36 on January 22, but has since given up most of those gains. The precious metals' break in upward momentum is evident in the futures positioning of large investors like hedge funds or so-called "managed money". Net long positions of gold – bets that the price will go up – held by hedge funds surged in January to 167,693 lots or 16.7 million ounces to hit the highest level since 2012 when gold was trading north of $1,700 an ounce. But in the week to March 3 according to the Commodity Futures Trading Commission's weekly Commitment of Traders data bullish positioning was trimmed for the fifth week in a row. Hedge funds increased short positions on gold – bets that prices will fall – by 18% and cut long positions at the same time, reducing the net long position by 15% to 8.8 million ounces. Silver positioning also turned bearish last week with speculators adding 32% to short positions and scaling back longs for a net bullish position of 103 million ounces, down nearly 30% from last week. Like the price of silver, speculation in silver futures tend to be volatile. Hedge funds had to cover a net short position of 53 million ounces in October last year after pushing longs to a record of 234 million ounces only three months earlier. It's not only precious metals that have fallen out of favour with hedge funds. Large scale futures investors cut bullish exposure to 24 commodities by 29% during the week. Across all sectors – from soybeans and diesel to lean hogs and palladium – net-long were run down to just 451,000 lots of futures and options. Sentiment on commodity markets has not been this bearish since March 2009 during the global financial crisis according to data from Bloomberg and Saxo Bank. 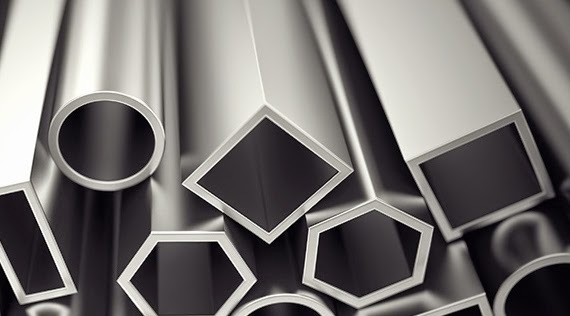 The latest statistics released by The Aluminum Association suggests that the aluminum industry demand in the US and Canada jumped higher by 5% during the entire year 2014. The North American aluminum demand during the previous year touched 25.5 billion lbs, when compared with the demand of 24.3 billion lbs during 2013. Moreover, the aluminum demand during 2014 hit the highest levels after 2006. The growth in aluminum orders started picking up towards the second half of 2014. The growth in aluminum orders were merely 0.8% during the initial four months of the year, on account of cols climatic conditions that prevailed across the region. The growth rate climbed higher significantly starting May 2014 onward. The growth rate touched record highs of 7.1% during the eight -month period from May to December last year. According to Ryan Olsen, Vice President, Business Information and Statistics Division at the Aluminum Association, the aluminum demand growth is set to increase sharply during 2015, aided by robust orders for aluminum products, especially from the automobile industry. The year is most likely to surpass 2014 growth rate. The Aluminum Association is a trade association for the aluminum production, fabrication and recycling industries, and their suppliers. The Association is a 501 non-profit organization based in Arlington, Virginia, United States. Vale S.A. (Vale) achieved several production records, and also reduced capital expenditures by another $2.254 billion in 2014, the company said in its performance report. In 2014, its output of iron ore , copper and gold was 331.6 million tonnes, 379,700 tonnes and 321,000 oz, respectively, all annual production records. Over the year, the company also reported the highest annual production in nickel since 2008, producing 275,000 tonnes, according to its report. The company also registered record sales volumes of iron ore and pellets (313.6 million tonnes) and gold (351,000 oz), and the highest sales volume of nickel (272,000 tonnes) since 2008, it noted. In 2014, the company also completed eight capital projects, negotiated a key partnership for our coal operation in Mozambique and still paid $ 4.2 billion in dividends while preserving a healthy capital structure. (Reuters) - Japan's biggest zinc smelter, Mitsui Mining and Smelting Co Ltd , has slashed its annual premiums to overseas buyers for 2015 by around 10 percent, marking the first cut in six years as rising exports by top user China spill into the region. Premiums are a surcharge paid to producers on top of futures prices to obtain metal. "Overall premiums for zinc for overseas buyers, mainly Southeast Asian buyers, for this year have been settled at about 10-percent lower than last year," said Sumikazu Ogata, investor and public relations manager at Mitsui Mining. He added that the step had been driven by growing exports from China in the wake of a metals financing scandal in the port of Qingdao. "We think China stepped up exports as some companies wanted to cash their inventories after the Qingdao problem," he said on Monday. Last year's Qingdao metals financing scandal has squeezed access to credit for metals players in the region as banks have tightened lending terms, which sent zinc premiums to two-year lows in December. (LME) cash prices and include shipping and insurance costs. This year's discussions with overseas buyers are nearly finished, Ogata said. He did not give specific premium levels for this year, but two traders quoted Japanese producer zinc premiums for 2015 at $170-185 per tonne on a cost insurance and freight (CIF) basis, depending on the Asian port.